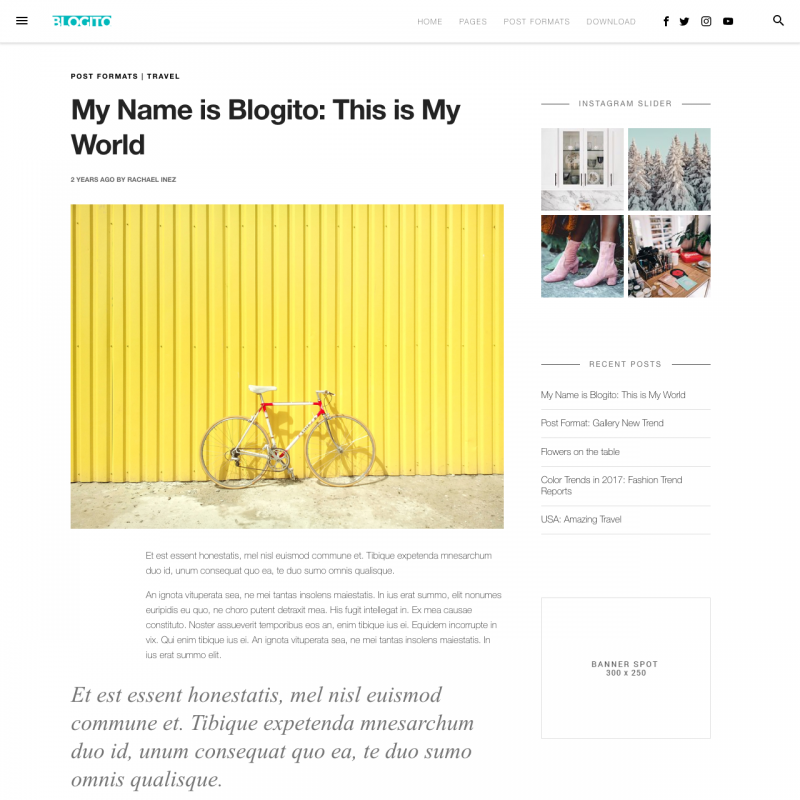 Blogito theme translations are maintained by the WordPress community. 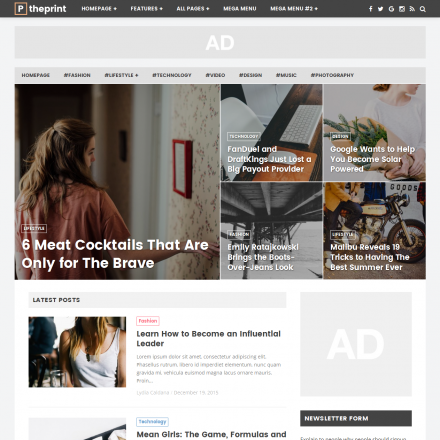 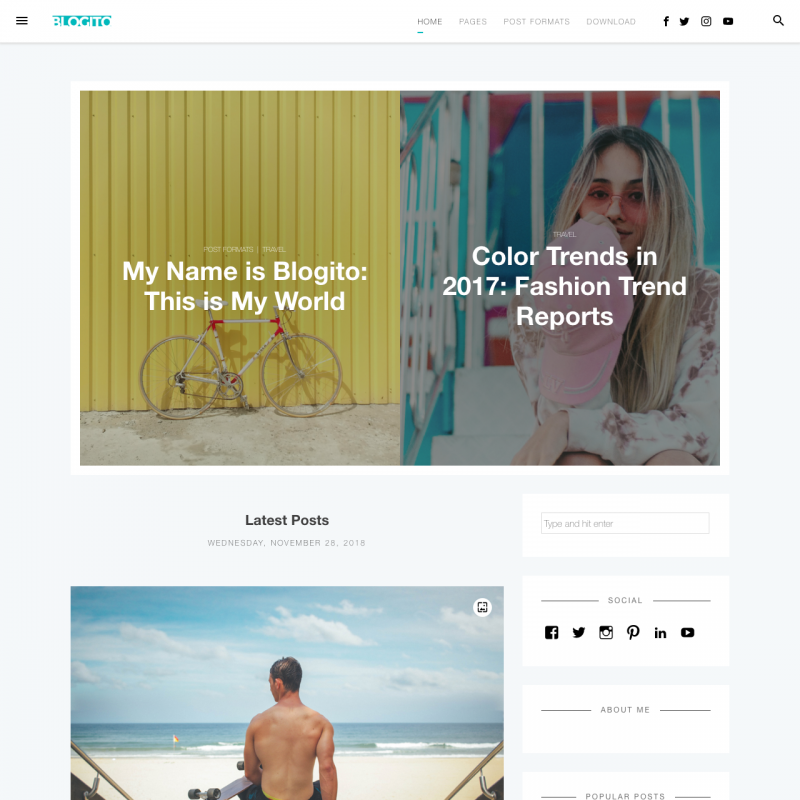 Blogito is a clean WordPress theme that suits any blogs and magazines, including travel, lifestyle, food websites. 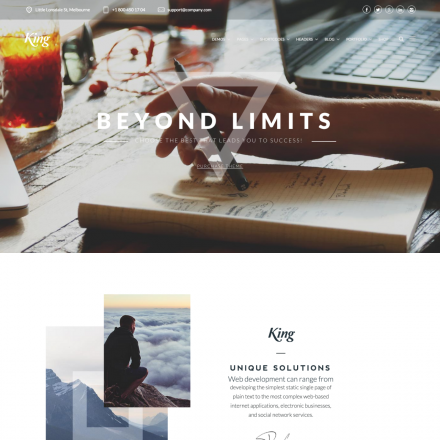 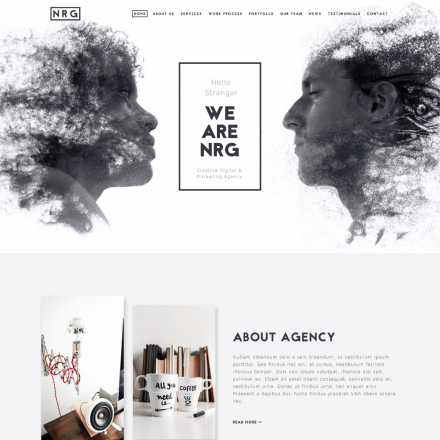 There are 4 homepage layouts with and without sidebar, slider or featured section on homepage, 3 pagination styles, many options to customize the color scheme, Instagram feed support and more.